PennsylvAsia: Chengdu Gourmet's Wei Zhu semifinalist for 2018 James Beard Award in Best Chef: Mid-Atlantic category. Chengdu Gourmet's Wei Zhu semifinalist for 2018 James Beard Award in Best Chef: Mid-Atlantic category. 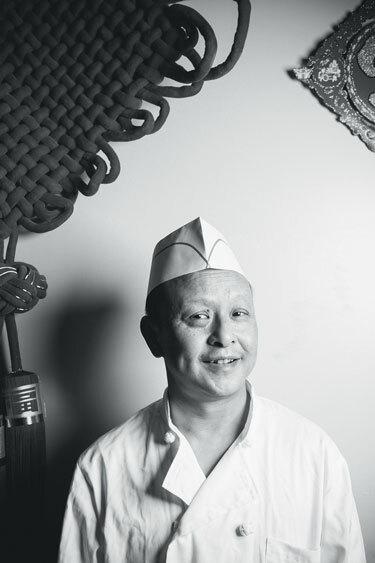 “The food here is my style, Wei Zhu’s style,” says Zhu, 49, a native of the city of Chengdu in China’s Sichuan province. A recently added beef soup dish combines traditional Sichuan elements such as garlic, ginger, pea shoots and Sichuan peppercorns, but it also is served with Japanese ramen noodles and dressed with fresh and pickled jalapeño peppers. Or there’s Zhu’s addictive Chinese winter sausage, an item on the menu for only a few months of the year. The rich, fatty links are enhanced with organ meat and ferment into funky, delicious bites as they age. “At other Chinese restaurants, they just make the same dishes. I am always trying to keep updated on what chefs are doing in China,” he says.